Thousands of people have filed suit against C.R. Bard, Cook Medical and other IVC filter manufacturers, claiming their devices have caused organ damage and other serious complications. In some cases, the blood clot filters killed people, lawsuits say. A jury in March 2018 awarded $3.6 million to a patient who claimed her IVC filter broke and caused injuries that required open-heart surgery. As of September 2018, more than 9,000 lawsuits have been filed against two IVC filter makers. Cook Medical faced 4,634 lawsuits in an Indiana federal court. Bard faced another 4,383 in an Arizona federal court. IVC filter attorneys believe hundreds more people could file suits. 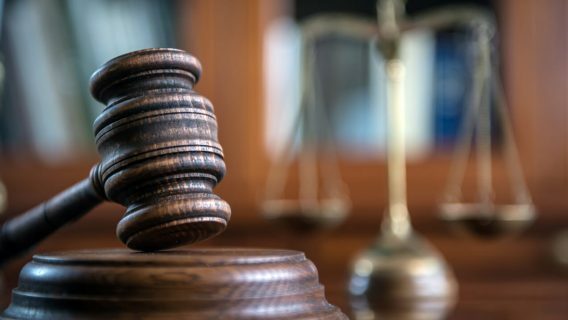 A federal panel combined lawsuits against each company into multidistrict litigations (MDLs) in order to move the lawsuits through the legal process more efficiently. Bellwether trials — representative test cases used to determine possible settlements — were underway in both MDLs as of July 2018. Currently, no IVC filter class action lawsuits have been filed in the United States. Law firms launched at least two class actions in Canada, both targeting Cook Medical’s IVC filters. Cook Medical won the first bellwether trial. The judge in the Cook MDL dismissed the second bellwether. It was set for April 30, 2018, but the judge said the plaintiff waited too long after his injury to file suit. A jury in the first Bard trial awarded a $3.6 million verdict to Sherr-Una Booker. She claimed a Bard IVC filter broke and injured her. Bard won the second bellwether trial. Bard won the third bellwether case after the judge declared the statute of limitations expired. Fourth Bard bellwether case, Hyde v. Bard, went to trial at the end of September. The jury decided in Bard’s favor after of one day of deliberation. Fifth Bard bellwether trial scheduled for court. Sixth bellwether trial is scheduled for court. In July 2018, the MDL judge granted summary judgment to Bard on two issues in the fourth bellwether trial. Summary judgments are decisions judges may reach without a full trial. Judge David Campbell struck down plaintiff Lisa Hyde’s claims that Bard failed to warn about IVC filter dangers and that the company had committed fraud. In October 2018, Judge Campbell also tossed Hyde’s claim of damages related to a cardiac arrhythmia and the possibility she may need a defibrillator implanted in the future. The judge allowed her claims of defective and negligent design, general negligence and punitive damages to stand. But on October 5, 2018, after closing arguments during which Hyde’s lawyer reiterated the excessive number of medical device reports implicating Bard’s malfunctioning filters in at least 1,202 adverse events, an Arizona federal jury said Bard was not liable for Hyde’s claims. Neither Bard nor Cook Medical has offered a global settlement. The companies have agreed to a few individual settlements for undisclosed amounts. IVC filters are designed to reduce the risk of blood clots in people who are unable to take blood thinners. But people claim IVC filters punctured their veins, broke or moved, leading to serious IVC filter complications. What are some of the health complications you’re seeing in IVC filter lawsuits? Attorney Holly Ennis describes the primary dangers and complications of IVC Filters. The filters are cage-like devices that are inserted through a person’s groin or neck. Spindly legs deploy inside the inferior vena cava — a large vein that carries blood to the heart — and trap clots before they can reach the lungs. 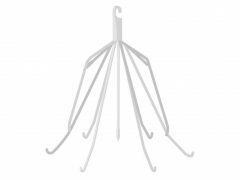 Lawsuits filed in federal court allege that defects in the design of IVC filters manufactured by Bard and Cook make them more likely fracture, migrate, tilt or perforate the inferior vena cava. In some cases, when the devices break, pieces can travel through the body, damaging the heart, lungs and other organs. People who’ve been injured say the companies knew or should have known about the dangers but failed to warn doctors and patients of the risks. Cook Medical and Bard manufactured several of the IVC filter models named in MDLs. People have also filed individual lawsuits against other IVC filter manufacturers. Companies sued include ALN, Argon, Boston Scientific and CORDIS. None of those lawsuits were part of any MDLs as of August 2018. In 2015, NBC News linked Bard IVC filters to 39 deaths. The network’s investigation claimed that Bard executives had been aware of the risk for years but the company did nothing. During its probe, NBC obtained a 2004 study commission by Bard that found the Bard Recovery IVC filter had a higher failure rate than competing devices. NBC reported that company executives made copies available on a “need-to-know” basis and told those who read the report to keep it secret. The first Bard bellwether trial resulted in a $3.6 million verdict for a Georgia woman. The jury awarded $1.6 million in actual damages and $2 million in punitive damages to Sherr-Una Booker. Juries award punitive damages to punish a defendant — in this case, Bard — when their actions cause severe harm. Booker’s lawyer argued Bard executives knew their product was dangerous but continued selling it without warning doctors about its risks. Bard won its second bellwether trial in a case involving plaintiff Doris Jones in June 2018. Jones received a Bard Eclipse IVC Filter in 2010. Years later, doctors found that the filter had fractured, and a piece of it blocked her right pulmonary artery. Doctors could not remove the piece. A jury concluded Bard’s warnings to doctors were adequate. Bard has settled some individual IVC filter lawsuits for undisclosed amounts, but the company has made no global offer to settle all the lawsuits in the MDL. Court records show the company settled at least three cases involving Bard’s Recovery and G2 IVC filters between 2013 and 2015. Lisa Davis sued Bard over its G2 IVC filter in Michigan federal court. She claimed the device broke and migrated to her heart. Davis’ lawsuit said her continuing heart problems were due to the device. Davis filed suit in 2011. Attorneys for both sides told the judge they had reached a settlement in March 2013. Kelly and Chris Vlasvich filed suit in Illinois federal court over the Bard G2. They claimed the IVC filter broke, damaging Kelly’s heart and lungs. Court records show the Vlasvichs were close to settling with Bard in December 2014. They asked the court to dismiss their suit a month later. Kevin Phillips’ lawsuit over the Bard Recovery went to trial in Nevada federal court. Phillips claimed the IVC filter broke and perforated his heart. Ten days after the trial began, Bard agreed to an undisclosed settlement. Cook Medical won the first bellwether trial in its multidistrict litigation in November 2017. The judge overseeing the Cook IVC filter MDL had scheduled a series of settlement talks between the company and people filing suits in 2015 in hopes of resolving the cases before trial. The following year, however, the judge moved forward with pretrial proceedings and selected the first bellwether cases in the MDL. The judge threw out the second bellwether case, which, like the first, was submitted by Cook Medical, on the grounds that the plaintiff’s claim was time-barred. The statute of limitations for the breach-of-warranty claim was a year and a day. 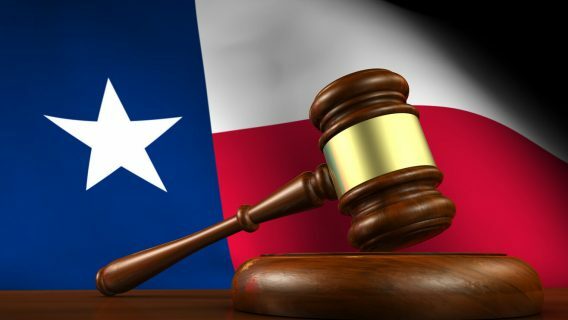 Then in May 2018, a Texas jury awarded a $1.2 million verdict to Houston firefighter Jeff Pavlock, who claimed a Cook Celect IVC filter damaged his aorta and small intestine. The lawsuit was not part of the bellwethers. Cook Medical plans to appeal the jury’s decision. Boston Scientific’s Greenfield filter is also named in lawsuits. There is no MDL involving Greenfield IVC filters, but lawyers have filed individual lawsuits. Boston Scientific recalled 18,000 Greenfield filters in 2005. The company warned that a part could detach and potentially cause a heart or lung embolism. Boston Scientific issued a second recall that same year based on reports that Greenfield filters could cause blood vessel damage. A 2016 study published in the journal Cardiovascular Diagnosis & Therapy looked at IVC filter complications, including perforation, incomplete opening, migration and fractures. The authors cited an earlier study of Greenfield filter deployment problems, published in the Journal of Vascular and Interventional Radiology, which reported poor distribution of filter legs in 71 percent of placements. There were six major IVC filter recall between 2005 and 2015. Manufacturers have not issued an IVC filter recall since 2015. Most IVC filter lawsuits target devices that Bard or Cook never recalled. 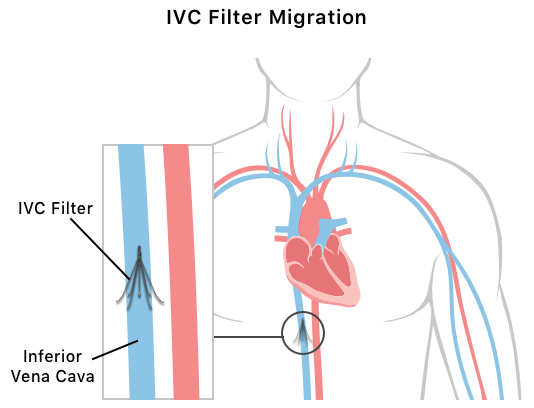 The FDA’s MAUDE database shows IVC filter reports dating back to February 2008. The U.S. Food and Drug Administration tracks IVC filter complications. The FDA’s database shows thousands of reports on IVC filter complications. Patients, doctors and manufacturers file the reports when they experience a problem. More than 500 reports came in during the first two months of 2018 alone. In 2014, The FDA updated a 2010 Safety Communication advising doctors to remove retrievable IVC filters as soon as they are no longer needed. The FDA said the ideal time for removing IVC filters is between 29 and 54 days after implantation.